Tattered and Inked: Christmas Printable Number 3! What is it about the end of a semester going by. so. slowly. One part of my head is looking forward 17 days from now to GRADUATION. And the other part is still stuck in projects, papers and exams for the next two weeks. I've still got a year and a half to go to finish my program but I'm getting my bachelors degree in a couple weeks. I don't officially become an OT until I have my masters though. 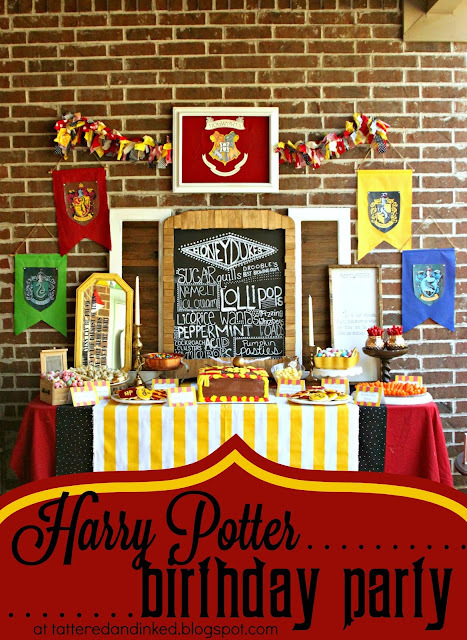 What you're really here for is the next free printable, right???? 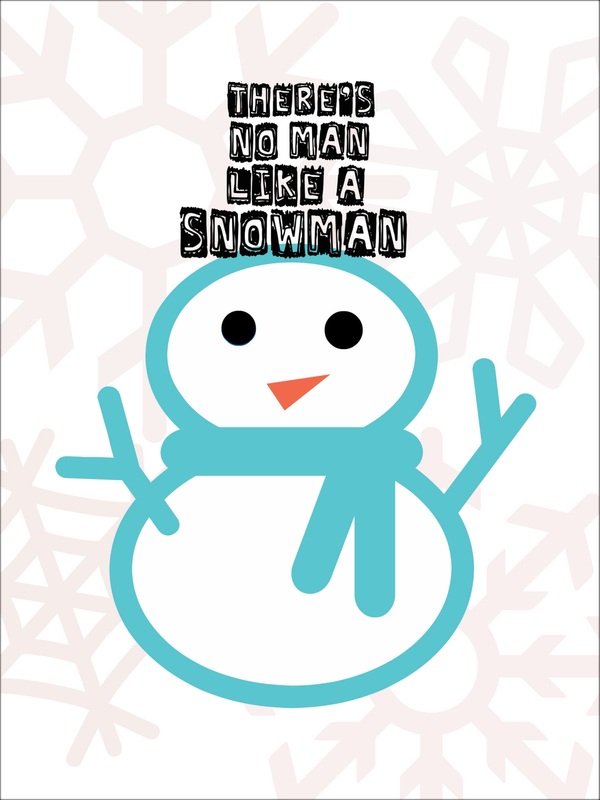 These next couple ones are for the cutesy Christmas people. 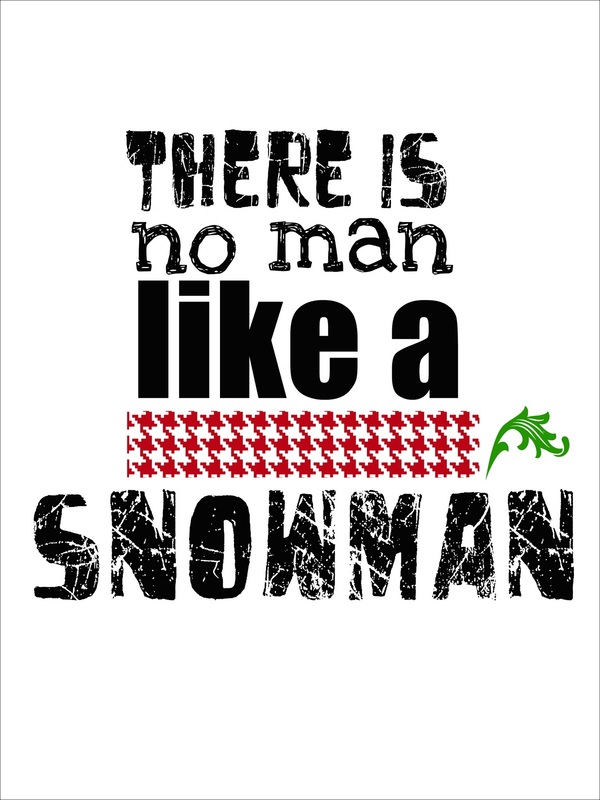 My mom is obsessed with snowmen, so when one of my fabulous readers suggested this saying on my facebook page, I immediately went and fiddled with it. 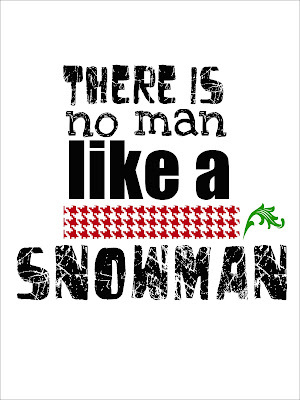 Because come wintertime, there really is 'no man like a snowman'. Unless you're man is like mine, and then you're all set. Links to download are under each picture. Don't forget to check back in tomorrow for the second half of 1 Ornament:10 Looks!!! !